It was time for offenders to give something back when they served hot food to the elderly during a celebration of 40 years of community payback in Kirklees. 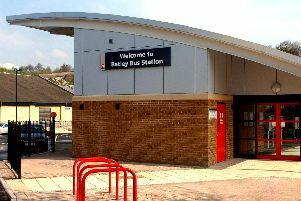 The Salvation Army in Mirfield is one of the places offenders carry out unpaid work in the community, originally known as community service. Every Monday and Friday teams of offenders prepare, cook and serve hot food for its Lunch Club. The meaning of community service, introduced in 1972, has changed over the years, but making offenders carry out unpaid work is meant to deliver both punishment and rehabilitation. Julie Thornton, assistant manager of community payback in Kirklees, said unpaid work was not a soft option for offenders. And probation officers say there are social benefits for both offenders and the elderly. “It increases offenders’ employability and builds confidence,” added Mrs Thornton. Abdi-Ryad, 33, from Ravensthorpe has been assigned to the Lunch Club for two months and is going to ask the probation service to let him volunteer once he has finished his community payback. “The lunches are brilliant here,” she added. “They are all good at helping out – everything runs smoothly.